I have a confession to make. I haven't gotten over Santorini-inspired places yet! In fact, I spent my free time browsing the web, looking for Santorini-inspired places to visit in the Philippines. Sundowners Vacation Villas has always been in my list. I loved my stay there, and yes, I'll definitely come back! You can read my quick getaway to Sundowners here. Traveling to Santorini has always been my travel goal. Actually, I want to have my honeymoon there too. That place just seems magical. Anyway, at least the Philippines has Santorini-inspired places that we could visit. One thing is sure though! Some of theses places cost a lot, but definitely worth it! Situated at Sabangan, Ilocos Sur, Vitalis Villas is one of the luxury accommodations on the mountain cliffs. Just like in Santorini, you can enjoy the overlooking view of the sea. Above all, just looking at the pictures, I can easily tell that it has a romantic vibe. This could be a spot for a honeymoon! I haven't been to Ilocos, but I'll surely stay here even for one night only just to experience the Santorini-feels. Currently, Vitalis Villas has one bedroom villa, two bedroom villa and two bedroom villa with pool access. Soon they'll be offering junior suite for those who are traveling with a smaller group. In addition to that, Vitalis Villas does not only offer relaxation. You can also enjoy different activities with your family and friends. From water sports & activities, to hilltop adventure. You'll surely make the most out of your stay. I first heard of Camp Netanya before I found out about Sundowners Vacation Villas. However, Camp Netanya was under-construction last year. Living in the south, it's easier for me to visit Camp Netanya the soonest possible time. Situated in Anilao, Batangas, you can try diving and snorkeling during your stay here. Besides, Anilao is one of the diving locations in the Philippines, and it has one of the most diverse marine variety! Camp Netanya offers a LOT of fun activities. It offers 43 guest rooms and villas: deluxe, superior, family loft, villa, premier and 4 bedroom; just choose which one do you want to stay in. If, however, you do not want to stay the entire night, you can still enjoy Camp Netanya because they offer day tour! Thunderbird Resorts is perched on a cliff overlooking the sea. 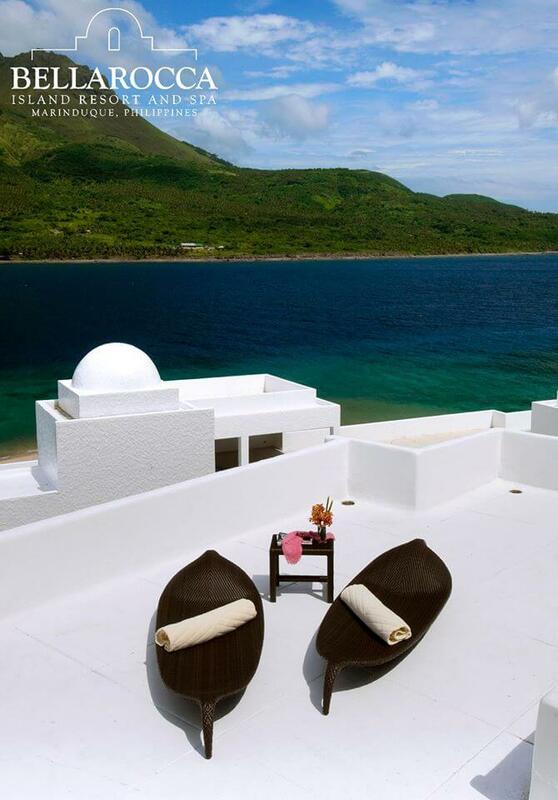 It is a 5-star resort making it a dream destination in North Luzon. In fact, it is also known as the Santorini of the North because of its 65-hectare Santorini-inspired architecture. If you want gambling activities, you are in the right place! Thunderbird Resorts has casino that offers promo packages and special deals. Thunderbird Resorts promises you about creating magical moments and memorable holiday. Regardless if you are a group or a couple, this resort offers several rooms that you can choose from: deluxe room, premiere deluxe room, deluxe suite, 2 bedroom villa, 3 bedroom villa, Santorini deluxe room, Santorini junior suite, and Santorini master suite. Just a few hour drive from Manila, Estancia Resort Hotel could be the place for your quick weekend getaway. One reason why I want to visit this aside from its Santorini-inspired architecture, Estancia Resort Hotel's rooms, you can capture the stunning view of the Taal lake. Plus, you could expect cooler temperature because its located in Tagaytay. Estancia Resort Hotel has Santorini room, deluxe room, Santorini family villa, deluxe family and executive room. I want to book Santorini family villa because of its mint green bedroom design. 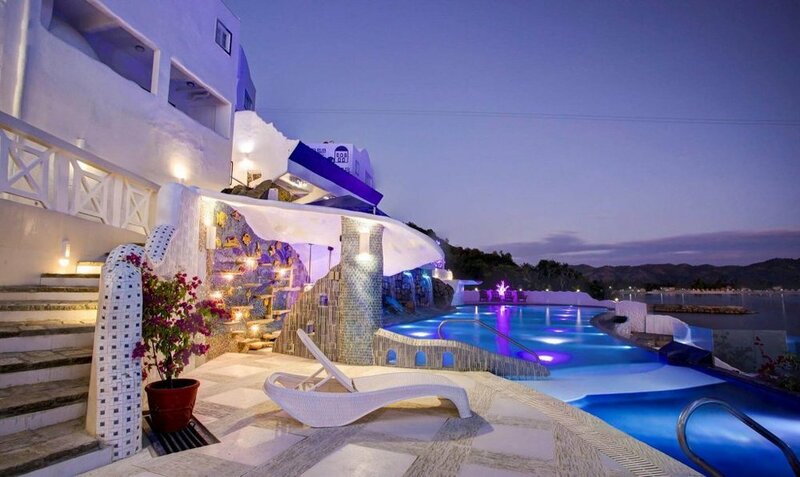 Bellarocca Island Resort and Spa is no doubt the most expensive Santorini-inspired resort I have ever found! It is an island isolated in the heart of the Philippines surrounded by untouched or pristine wildlife and natural wonders. Therein lies the hot springs, waterfalls and underwater flora and fauna. Aside from that, if you are an adventurous traveler, you can explore the caves there. Bellarocca Island provides several accommodation that you can choose from: hotel rooms, junior suites, suites, casas, terraza and garden and cliff villas. In addition to that, the activities, recreations and attractions in Bellarocca are tailored specially for each individual. Making sure that you'll make the most out of your stay. That sums up the Santorini-inspired places I want to visit in the Philippines! Although I don't have plans to visit any of them this year, I will definitely keep you updated once I get the chance to stay in any of this. I am soooo looking forward to it. Do you want to visit other places? Feel free to book here. Have you been to any places in the list? If not, what other Santorini-inspired places do you recommend? Disclosure: This post contains affiliate links, which means I receive a small commission if you book after clicking the link. Don't worry, these links won't cause you any extra money, but it will help me keep this site up and running.